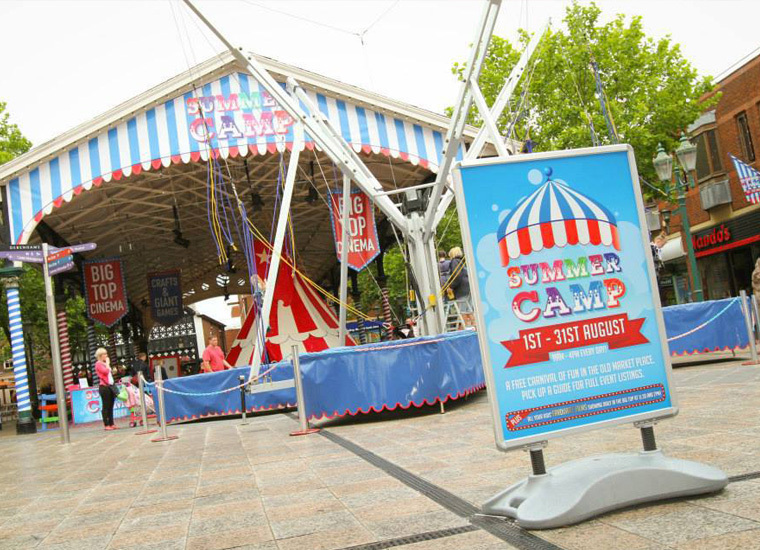 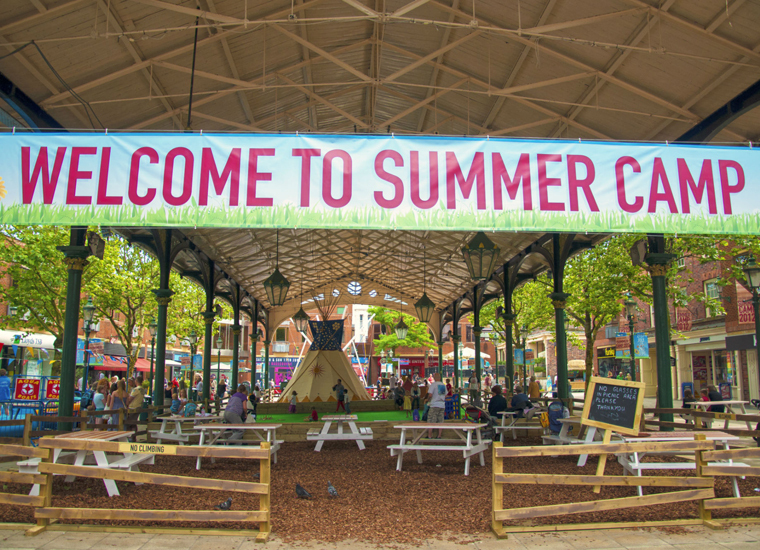 We transformed the Old Market Place into an American style ‘Summer Camp’ for 6 weeks of fun in the fresh air for kids during school holidays! 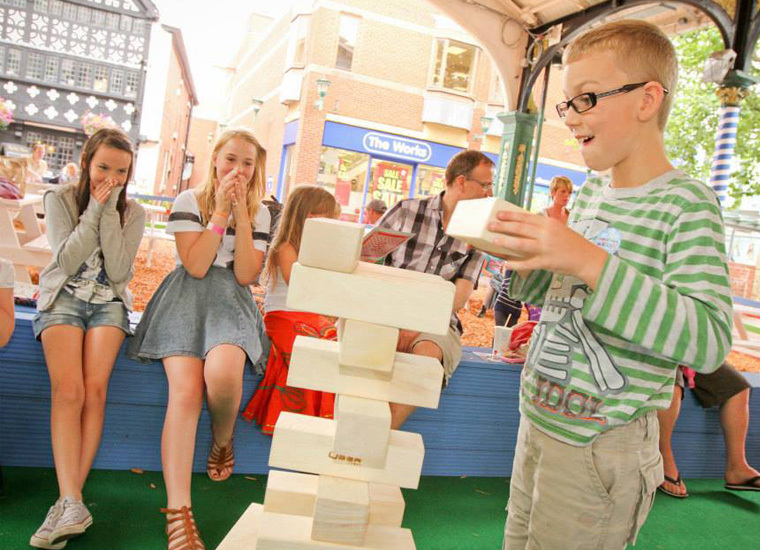 Farm style fencing surrounded grass & bark chip play areas with natural log seating and tables. 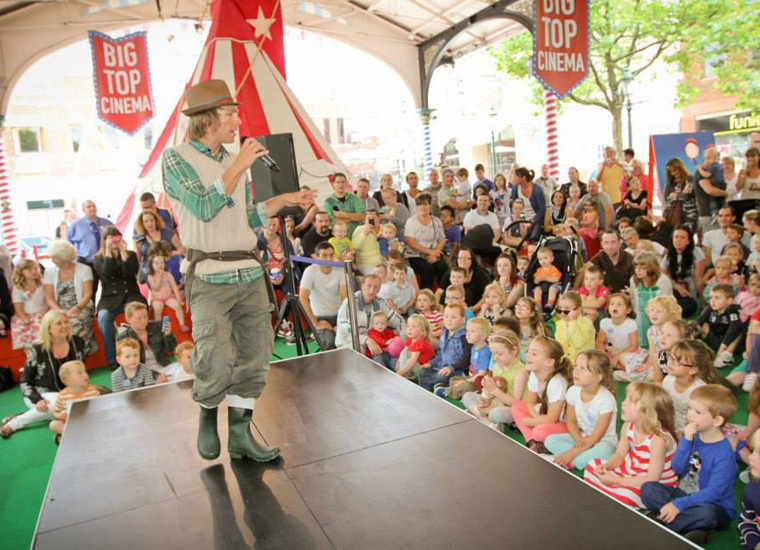 A giant bespoke tipi hosted storytelling sessions and a cinema. 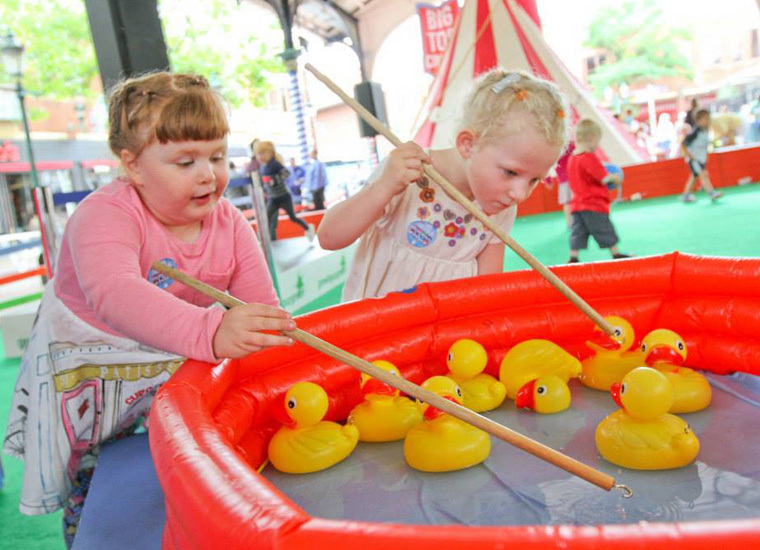 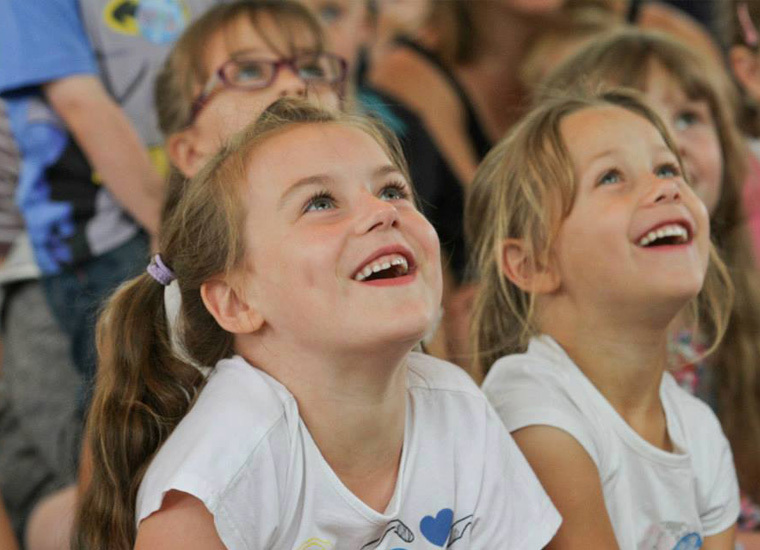 Other activities included; bouldering wall, over-sized games, interactive live reptile corner, the awesome inflatable Dino dome & planetarium, circus skills workshops, face painters, plus loads of sporting activities.